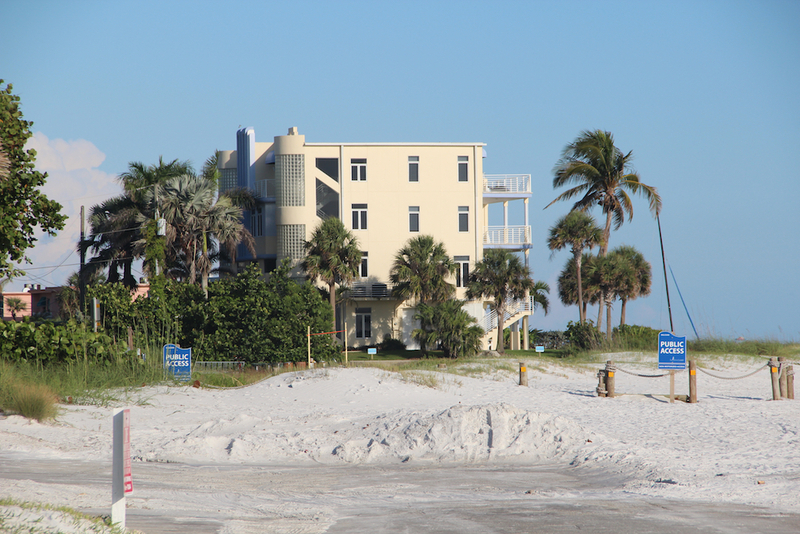 SNL/Siesta Sand heard a complaint the first week of June about the sand piled up on the vacated segment of North Beach Road. The 357-foot-long stretch clearly is marked by signage as “Public Access.” However, from the Beach Access 2 perspective on the evening of June 7, the area did appear to this reporter to be part of the beach, not a roadway. According to the street vacation the County Commission approved on a 4-1 vote in May 2016, the affected segment of North Beach Road is open to all users except those in motorized vehicles.